For raw-food enthusiasts and vegans who want a rich chocolate flavor without dairy products, raw cacao recipes are just the thing to satisfy cravings and invite indulgences. Truffles, cake, cookies, smoothies, and even pure chocolate bars are all options on a raw-food diet, although they do take a bit of extra time and care to prepare. Many raw cacao recipes are easily adapted to reflect personal preferences, so don't be afraid to tweak the ingredients you see. Try substituting one raw nut butter with another, experimenting with flavor and spice combinations, and garnishing a finished product with fresh fruit or berries to find the best taste. This trail mix takes about two minutes to throw together, so it's perfect for cooks on the go! Combine all ingredients in a large bowl. Dust with cinnamon to taste, and store the trail mix in an airtight container or large zip-top bag. 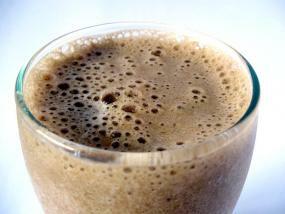 This smoothie has a creamy texture and rich refreshing taste on a warm day. Combine all ingredients in a blender or food processor with a strong blade, and blend until smooth. Pour into a tall glass, add another ice cube or two, and dust with more cacao powder before serving. This adapted version of a raw raspberry ganache fudge cake is more gooey than a traditional baked version, but each slice is just as decadent. In a strong food processor or mixer such as a Vitamix, thoroughly combine the nuts, cacao powder, salt, and one cup of the dates. Remove the mixture from the processor, and divide it in two. Shape each half into a layer, and set the cake layers aside. Make frosting for the cake by processing the remaining 1/3 cup dates with the agave nectar and avocado. 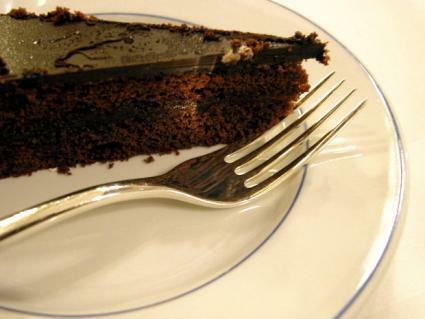 When the frosting is smooth, use a knife or flat spatula to spread some on the first cake layer. Top with the second layer, and frost the entire top and sides of the cake. Refrigerate for at least 20 minutes before serving. Enjoy a totally vegan truffle that's just as dense, compact, and tasty as the original version. Grind the vanilla bean with the cacao nibs or raw cacao powder and salt in a spice grinder or coffee grinder until thoroughly combined. Add the mixture to the apricots, butter, and agave nectar in a sturdy food processor. Process until combined and no longer crumbly. 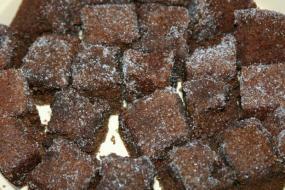 Press the fudge mixture into truffle molds or bar shapes, and refrigerate for at least 30 minutes or until set. If desired, roll the chilled truffles in the shredded coconut before serving. Although there's very little definitive research about possible health benefits or detriments of raw cacao, most people don't notice any ill effects when they eat it as an occasional treat. Just remember to enjoy cacao in moderation, and eat it with an assortment of nutritious foods.